After my first stay here a year and a half ago I knew I would be back the next time I was in Osaka. Great staff, very clean, and an amazing coffee shop downstairs. Near by to a lot of great restaurants, bars, and bakeries (Panne Porcini 🤤). Will definitely be trying to stay here again the next time in Osaka! 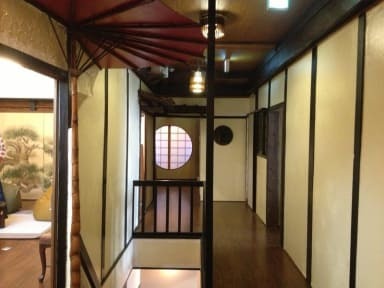 This is a lovely hostel in an old building so you really feel like you’re visiting historic Japan! The staff were super friendly on arrival and helpful throughout. The dorm room was comfortable and there was a great social space too. Well located between a couple of different train stations on different lines, good for getting around the city. The staff are super kind and supportive and passionate about what they are doing. Apart from a little bit noise ( which is very normal in hostels) every other thing is wonderfull. They allowed me to check-in before 3pm. And they were happy to keep my stuff after 11am when I checked out. Shower and washrooms are 24hrs and there is beautiful artistic common space that can be used from 8am to 10pm. The building was really cool - lots of sliding doors and an interesting layout. The staff was super friendly. A great relaxed place to stay. Lovely place, lovely staff. A bit away from everything but has a couple of good subway stations on the doorstep. Restaurants nearby but no bars sadly. Rooms were good quality and cheap. This hostel is AMAZING. 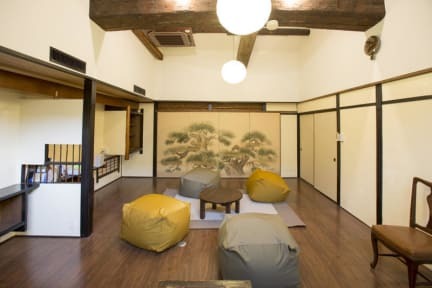 The staff are sooooo friendly and helpful, it's only a 3-minute walk from the JR Station, the hostel is a beautiful old building with a great cafe area, the beds are immaculately clean and comfortable, and the showers were a bit small but had everything you needed including shampoo, conditioner, and body wash. If you're staying in Osaka, I definitely recommend staying here. I really wish we could've spent more than just one night here! Best hostel I’ve stayed at in Japan. Beautiful old town house in quiet area. Staff was amazing and kind. Beds were good size. The cafe downstairs had amazing curry. The room got a little humid at night which everyone in there but very nice place highly recommend. The staff ladies were always extremely helpful and made my stay a pleasant one. I plan on returning in the near future!